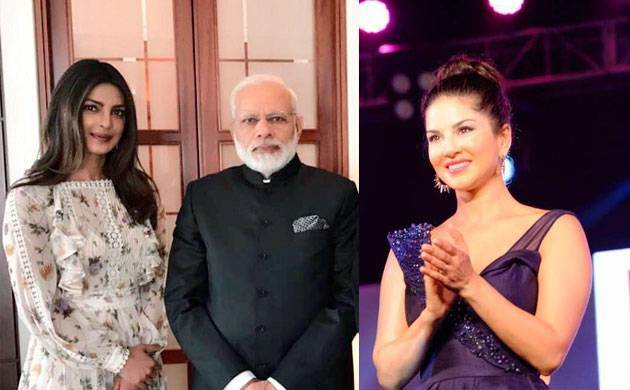 Sunny Leone has come out in support of Priyanka Chopra over her dress controversy saying it is unfair to judge the actress on her clothes. Sunny Leone has come out in support of Priyanka Chopra over her dress controversy saying it is unfair to judge the actress on her clothes. Priyanka, who recently met Prime Minister Narendra Modi in Berlin, invited online trolls after she shared a picture of the meeting where she was seen wearing a short dress. The 'Quantico' actress was slammed by a certain section of the society for not being ‘appropriately dressed’ for the meeting. However, Sunny Leone lashed out at the trollers saying no body has the right to troll anyone. She further asserted that if PM Modi had a problem with PeeCee's dress he would have expressed it. “We have elected a very smart man to be the prime minister of this country… If he had a problem with it he would’ve said something. But he didn’t and I don’t think anybody has the right to troll,” Sunny Leone was quoted as saying. Interestingly, Priyanka Chopra too had shut down the haters with a post where she along with her mother were seen flaunting their legs. Chopra captioned the image as, "Legs for days.... #itsthegenes with @madhuchopra nights out in #Berlin #beingbaywatch". Priyanka Chopra is currently busy promoting her maiden Hollywood release 'Baywatch' which got released in India on June 2. Helmed by Seth Gordon, 'Baywatch' also stars Dwayne Johnson, Zac Efron, Priyanka Chopra, Alexandra Daddario, Kelly Rohrbach, Jon Bass, and Ilfenesh Hadera.